The London studio of global architecture and design firm Perkins+Will has announced the appointment of a new associate principal, Jason Turner, who joined the firm in early March. With over 25 years experience working in interior design, Jason brings to the firm expertise in strategic advice on workplace, culture and people. Jason has prior experience overseeing business growth and project delivery, having worked on interior projects for some of the world’s largest corporations, from Facebook and Microsoft to Rio Tinto and AstraZeneca. Other clients have included the Bank of China, SMBC, and Deutsche Bank. The appointment of Jason comes at a time of continued growth for Perkins+Will’s London office and demonstrates the confidence of the practice in maintaining and expanding its business operations in the capital and the wider EMEA region. Jason has experience working abroad in Asia, spending a number of years in the region overseeing large projects in Shanghai, Tokyo and Hong Kong. He has also delivered Workplace Strategy and Concept Design proposals for the offices of a global management consultancy across five European capitals. Closer to home, Jason also oversaw base build modifications and fitouts for the London headquarters of the world’s largest publicly traded hedge fund company, Man Group. With the appointment of a new associate principal specialising in strategic advice, Jason will bolster Perkins+Will’s reputation in project delivery, while expanding its expertise and capacity to take on new projects in related sectors. Jason will be joining the interiors team, which has overseen office fitouts for clients such as The Economist, Deloitte, News UK, Microsoft, and Linklaters. The London studio of Perkins+Will is one of the most successful in the UK and EMEA. It delivers over two million square feet of project work each year within the corporate and commercial sector, working alongside major developers, financial institutions, law firms, blue chip corporate brands, media companies, and public sector bodies. The practice’s projects include large-scale masterplanning and urban design developments, new build architecture, hospitality, cultural, corporate interiors, and strategic workplace consultancy services. Current projects include The Stage, a mixed-use residential project in Shoreditch that preserves one of Shakespeare’s oldest playhouses; the Financial Conduct Authority’s new headquarters in Stratford; and 150 Holborn, a 185,000 sq ft new build HQ corporate office building in the borough of Camden. The London studio of global architecture and design firm Perkins+Will have announced the appointment of a new sustainability director, Asif Din, who joined in late January. Asif will be leading strategic initiatives for sustainable building across the firm’s practice areas, including urban design, architecture, hospitality, and workplace design. 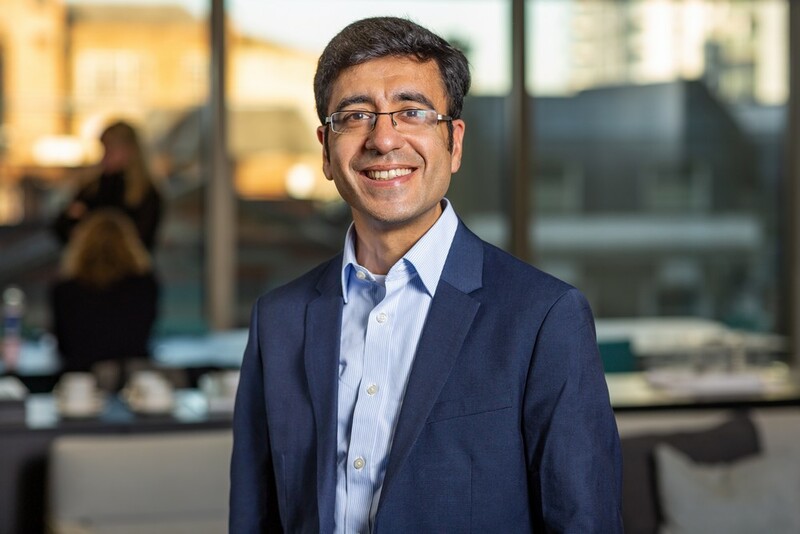 With over 20 years of experience working on a number of PassivHaus and Zero Energy Developments both in the UK and Asia, Asif brings both a unique expertise and perspective to the leadership team. Throughout his career, Asif has been dedicated to low-carbon building and development. From Exmouth Market in London to Jubilee Wharf in Cornwall, Asif’s involvement has taken a proactive approach to identifying and integrating energy-efficient building solutions into architectural design. During his time in China, Asif supervised on internationally recognised design projects such as the London Pavilion at the Shanghai Expo 2010. Here, Asif was responsible for developing energy solutions ranging from biodigesters, which produce renewable energy from waste products, to solar-powered cooling systems. Following the Mayor of London’s goal of making the capital a zero-carbon city and at least 50 per cent green by 2050, Perkins+Will’s new appointment comes at an apt time. As London’s developers are facing increasing pressure to produce energy-efficient buildings, architects are taking a more proactive approach to future-proofing their designs. The appointment of a dedicated sustainability director in London further cements the global practice’s reputation as a leader in green building, with expertise in sustainability, resilience, health and wellness, and mobility. For too long, architects have structured their processes around basic tools and technologies. But now we’re experiencing a sea change for the profession as architects begin to harness technologies such as artificial intelligence and augmented reality. The government’s £13 million investment in R&D will fuel this momentum and open up a world of possibilities, not just for the way buildings are produced but ultimately, the way in which they are designed. NEW YORK—February 28, 2017—Perkins+Will has named William (“Bill”) Harris, AIA, LEED AP, the new managing director of its New York office. Harris, who comes to New York from Perkins+Will’s Boston studio, is a preeminent leader in the design and planning of spaces for research and innovation. In particular, he brings unmatched expertise in designing for biopharmaceutical companies, laboratories, and tech start-ups. Harris will relocate to New York; however, he will maintain close contact with his Boston-based clients, spending time in Boston as needed. Known for his adaptable, future-focused designs that integrate workplace, art, culture, science, and technology, Harris’s portfolio includes projects in everything from academia, banking, and commerce to business, hospitality, and healthcare. He excels particularly at bridging the gap between the needs of research communities and the buildings and science center clusters that developers create for them. Examples include 1812 Ashland at The Science and Technology Park at Johns Hopkins in Baltimore, Maryland; the recent expansion of United Technologies Research Center in East Hartford, Connecticut; and the interior design of the new R&D Headquarters for Takeda Pharmaceuticals in Cambridge, Massachusetts. Harris succeeds Paul Eagle, who has served as managing director of the New York office for the last 13 years. Eagle will remain a key leader and active practitioner in the studio, focusing on strategic design and planning for corporate and commercial clients in the Northeast region. Harris’s projects have earned awards from the Boston Society of Architects, CoreNet New England, the International Facilities Management Association, and the Association of General Contractors. He is a widely published author and sought-after speaker. He holds a Master of Architecture from the Harvard University Graduate School of Design and a Bachelor of Arts from the University of Pennsylvania. CHICAGO—February 21, 2018—Global architecture and design firm Perkins+Will announced today that Casey Jones, former Director of Design Excellence at the U.S. Department of State and the U.S General Services Administration, has joined the firm. For the last two decades, Jones’s advocacy for excellence in the design of public architecture and civic spaces has positively transformed communities, neighborhoods, and cities around the world. Jones will now lead Perkins+Will’s civic buildings strategy globally, and oversee best practices for the design of public spaces and buildings. 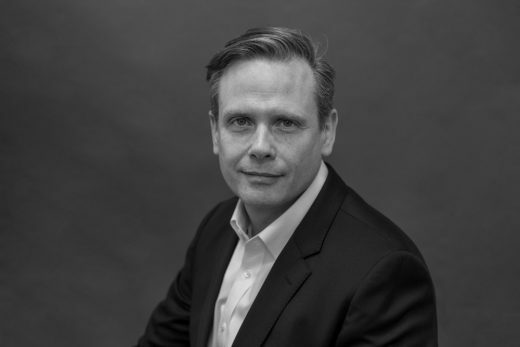 Jones will work with design teams across the firm’s architecture, interior design, landscape architecture, and urban design practices—areas that he oversaw in his most recent role as the U.S. State Department’s Deputy Director for Overseas Building Operations. There, he led more than 800 professionals on the design, construction, operations and maintenance of hundreds of ongoing projects, ranging from new embassies and consulates to the renovation of existing properties. 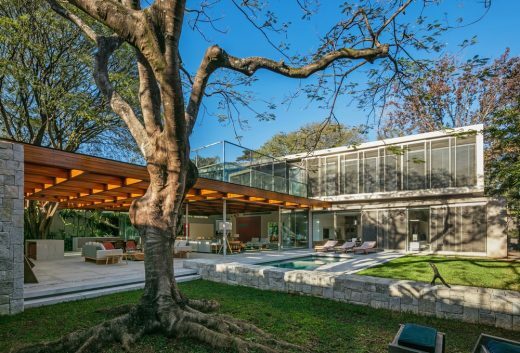 Prior to that, he served as the U.S. State Department’s Director of Design Excellence, during which he established the Excellence in Diplomatic Facilities Initiative to elevate the quality of embassy projects. This followed his service as the Director of Design Excellence at the U.S. General Services Administration. The program’s founder, Ed Feiner, heads Perkins+Will’s Design Leadership Council. In addition to his experience in overseeing large-scale civic architecture projects, Jones has helped develop design and construction strategies for clients such as the Whitney Museum of American Art, Yale University, Motown, the Mexican Ministry of Culture, and the History Channel. He is a fellow of the Design Trust for Public Space, where his work helped lead to the 2002 decision to reverse New York City’s planned demolition of the High Line. He was also associate director of the Van Alen Institute, which explores how design can enrich our lives. Jones has taught courses on urban design at Columbia University, University of Michigan, and Parsons School of Design. He has a master’s degree in architecture from the University of Michigan and a bachelor’s degree in architecture from the University of Virginia. DENVER—October 4, 2017—Perkins+Will, one of the oldest and most respected interdisciplinary architecture and design firms in the world, announced today that Denver-based Sink Combs Dethlefs, a national leader in sports, recreation, and entertainment architecture, has joined the firm. Denver now becomes the home of Perkins+Will’s 24th design studio. The merger, which significantly bolsters Perkins+Will’s visibility in the Rocky Mountain West region, is part of the firm’s strategy to meet growing global demand for design that promotes holistic human health and well-being. Founded in 1962, Sink Combs Dethlefs’ projects include the Pat Bowlen Fieldhouse at the UCHealth Training Center, home of the Denver Broncos, in Englewood, Colorado; the University of Michigan Crisler Arena renovation and William Davidson Player Development Center in Ann Arbor, Michigan; the Chesapeake Energy Arena renovation in Oklahoma City, Oklahoma; the PPL Center in Allentown, Pennsylvania; and the visitor and conference center at the iconic Red Rocks Amphitheatre in Morrison, Colorado. The merger comes at a critical time in the architecture, design, and construction industry, where historically distinct project typologies, disciplines, and practice areas are now blending in both form and function, and where health and well-being are considered paramount. For example, academic buildings are adopting active workplace design trends; corporate interiors are borrowing design elements from health and wellness centers; healthcare facilities are taking design cues from the hospitality sector; hotels are incorporating aspects of sports and recreation; athletics and entertainment facilities are serving as community anchors in walkable, mixed-use urban developments; and so on. By combining firms, Perkins+Will and Sink Combs Dethlefs can cross-pollinate services to meet these overlapping market needs. Known for designing arenas and event centers, collegiate athletic facilities, community recreation centers, civic centers, and spectator venues, Sink Combs Dethlefs naturally expands Perkins+Will’s range of client service offerings. This is particularly true in the higher education sector, where Perkins+Will is an established leader in the design of student centers, research facilities, academic buildings, administrative centers, and residence halls, as well as in campus planning, and where the firm’s portfolio of athletic centers is now starting to grow. It is also true within the urban design sector, where Perkins+Will’s Cities and Sites practice is global leader in creating dynamic, animated, health-conscious cities, and where sports and entertainment arenas are increasingly becoming catalysts for economic growth in downtown mixed-use districts. By the same token, Perkins+Will’s expertise across a dozen practice areas, combined with its worldwide network of talent, greatly diversifies the types of services that Sink Combs Dethlefs can offer. In addition to new service offerings, the merger gives both firms greater exposure geographically. Sink Combs Dethlefs’ 50-person flagship office in Denver—now Perkins+Will’s 24th design studio—significantly strengthens Perkins+Will’s presence in Colorado and the greater Rocky Mountain West region. Perkins+Will’s projects there to date include the Lory Student Center at Colorado State University in Fort Collins, Colorado; the University of Colorado, Anschutz, Cancer Pavilion in Aurora, Colorado; and Intermountain Healthcare’s Alta Vista Hospital in Sandy, Utah. Sink Combs Dethlefs’ 10-person practice in Chicago, which will soon operate out of Perkins+Will’s design studio in the iconic Wrigley Building downtown, establishes Perkins+Will as a new leader in sports and recreation in the Midwest. Projects there include the Joyce Center Fieldhouse and Rolf Sports Center, both at the University of Notre Dame in South Bend, Indiana, and the Athletic Research Center at Marquette University in Milwaukee, Wisconsin. All three, designed by Sink Combs Dethlefs, are under construction. Perkins+Will’s Ryan/Walter Athletic Center at Northwestern University is also under construction and scheduled to open in 2018. The merger also enhances Sink Combs Dethlefs’ ability to win new work nationally and internationally, as well. Finally, the fusion of the two firms is a natural extension of Perkins+Will’s legacy in health, wellness, and sustainability leadership, which has long been one of its greatest differentiators. Perkins+Will is a trailblazer in the movement toward holistically sustainable design, and is known for seminal industry innovations like the Precautionary List, the Transparency website, the resilient building rating system RELi, the development of Portico with Google and the Healthy Building Network, and the adoption Fitwel. It is Perkins+Will’s belief that sports and fitness play an important role in the development of healthy lifestyles, and that healthy lifestyles play a commensurate role in the development of sustainable cities and communities. •	University of Massachusetts Amherst Football Performance Center in Amherst, Massachusetts (2014). •	Marquette University’s Athletic Research Center in Milwaukee, Wisconsin (underway). Perkins+Will is an interdisciplinary, research-based architecture and design firm established in 1935. Founded on the belief that design has the power to transform lives and enhance communities, we collaborate with clients all over the world to create healthy, sustainable places in which to live, learn, work, play, and heal. More than 2,000 professionals across over 20 Perkins+Will offices include some of the brightest minds in architecture, interior design, branded environments, urban design, and landscape architecture. Clients consistently turn to us for our leadership and expertise in areas like sustainability, resilience, health and wellness, and mobility. Additionally, our research catalyzes innovative design technologies and solutions that result in better, smarter, more competitive built environments. The recipient of hundreds of design awards each year, and a progressive leader in corporate social responsibility, Perkins+Will is consistently ranked among the world’s top design firms. Our family of partner companies includes retail strategy and design consultancy Portland; transportation planning consultancy Nelson\Nygaard; healthcare technology planning firm Genesis Planning; and luxury hospitality design firm Pierre-Yves Rochon (PYR). For more information, visit www.perkinswill.com. March 13, 2019 in Architects.